..... is a village gathering point: a place where people meet, and stories are told, and news is passed on. An informal gathering place where anyone in the community can set up a gathering, and anyone can come and join in. The idea is that it operates on donations to cover running costs, any excess over costs go into the on-going setting up and equipping of the Hub and maintenance and restoration of the building. There's tea, coffee and hot chocolate available, anyone welcome ! This space was originally designed to be the School Masters’ house, though it was only used for a couple of years due to the damp. In its history it served as a young men’s club and then offered shelter for the local farmers’ sheep, before becoming a pottery /craft centre in the 1980’s. It then fell into disrepair and by 2015 had developed serious problems due to water penetration through the back walls. The Dalby Hub has been a major renovation project coordinated through the Dalby Church Steering Group, (LCC) acting as Trustees to the Hub. 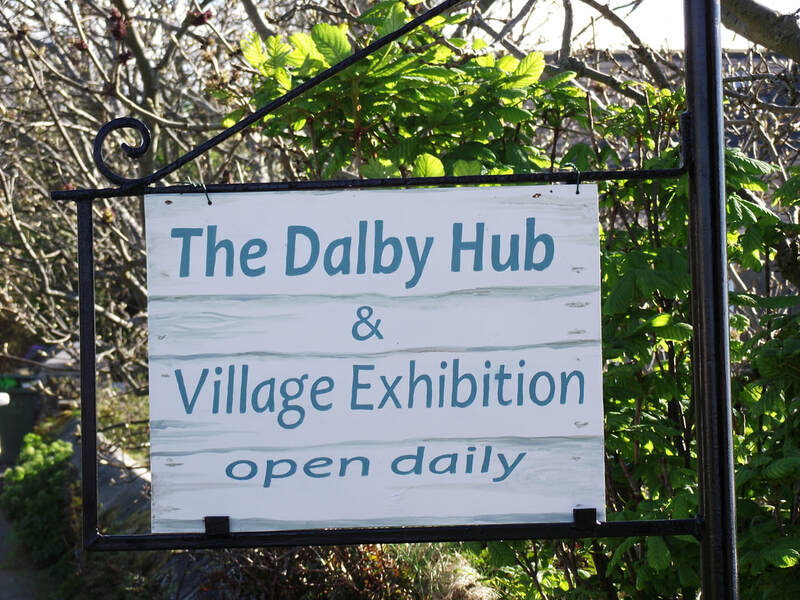 The project was helped by grant funding from the Manx Lottery Trust as well as ongoing fundraising by the amazing Friends of the Church, and sales of “A Slice of Dalby” ( our Dalby cook book), to help renovate, refurbish and equip it to become a centre for the village and beyond. It is now run by a community planning group as a not for profit organisation, with proceeds after costs going back to the restoration of the building. The room is available for hire for functions, meetings, workshops or over night hostel style accommodation. 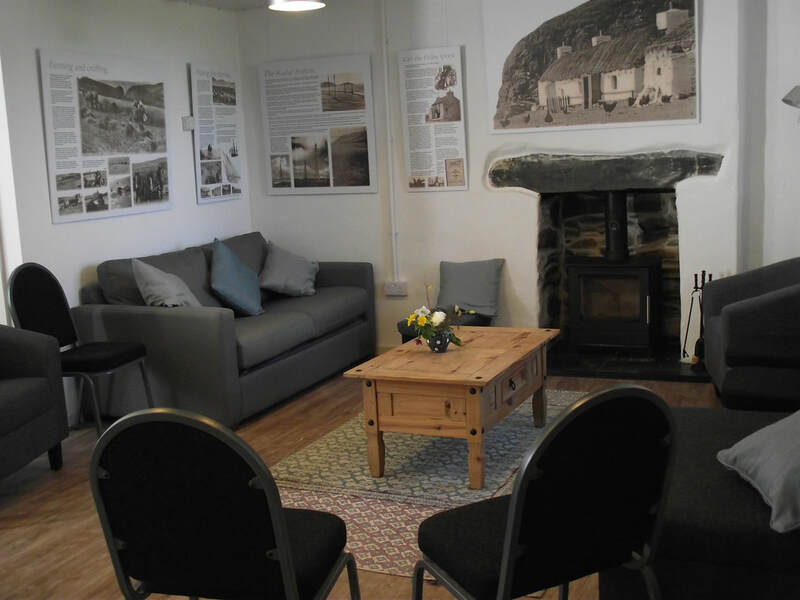 The Dalby Community Hub have been successful in their application to The Manx Lottery Trust which have awarded a grant towards both the renovation and refurbishment of the basement. This will be a great help towards achieving our vision of a community shop , exhibition space and workshop area, and we are truly grateful to the Manx Lottery Trust for their support. From this .............. .............. to this ! Our vision has been to serve the needs of the whole local community in Dalby village by offering a central and easily accessible gathering point. Our aim is to encourage active community involvement in village concerns, social gatherings, and mutual neighbourhood support. We've embarked on a massive project to redevelop the basement of the church building to extend our usable space for the community, renovating the two unused rooms, replacing the floor slab, lowering the ceiling, tanking walls, installing a disabled loo and shower unit, plus general storage space. This will create a local village shop to be run as a not-for-profit shop that will primarily serve the local community, whilst also giving villagers and visitors the opportunity to buy local produce. The other room will be used as a multi-purpose meeting space for use by the young people and wider village community. This will include workshop/classroom facilities, games area, community exhibition and comfortable and informal meeting space. After many months of planning and meetings and fundraising and visioning, it’s exciting to see the piles of rubble removed and now hear sound of drills that indicate work is well on its way in turning dreams of “The Dalby Hub” into a reality! The viability of the project was confirmed last year as the Manx Lottery Foundation gave Dalby Church grant funding to help assist us in our plans for major works to renovate the “ basement” of the building. This space, set into the elevation of the hill, was once the school masters house, then a “young men’s” club for the village, then served the local farmer as shelter for his sheep for many years, before operating as Dalby Hall Pottery and Craft Centre. Since then it has remained empty as damp penetrated into the basement and was used only as a storage area for the church and schoolrooms. A ceremonial “community work weekend” launched the start of the work, as folk from the village gathered to help hack off rendering to reveal the depth of reality of damp in floor and walls ....... and then stepped aside as Charmer Brothers, guided by Architect Ashley Petit, moved in with more adequate tools than mallets, good- will and enthusiasm! The job which includes tanking the walls, laying a new ground slab and renewing the ceiling is estimated to take approx. 4 months, with the vision of creating a community shop, as well as a versatile exhibition/workshop space for use by the community. This is a mammoth undertaking that’s gradually taking shape as each day new structure is created and new life is breathed back into the building. The Dalby Hub basement renovation has now received its certificate of completion from the Building Officer for the 1st phase of work, thanks to the work of Charmer Brothers and the vision and drive of the local Dalby team who’ve had a thousand and one meetings over the last 9 months! This completion has been partly funded through a Manx Lottery grant application to establish a village shop, workshop and exhibition space; further funds have also come from sales of “A Slice of Dalby” cookbook and the continual and amazing support, of the Friends of St James Dalby who have raised funds for the renovation and restoration of the building by organising ongoing events and activities over many, many years. The second phase of the build will now be focused on refurbishing and fitting out this multi- purpose build, along with arranging community meetings for those who’d like to be involved with the visioning, management and running of the hub, to continue to turn dreams into a working reality! Breaking news! In April 2017 we were awarded a second grant by the Manx Lottery Trust to assist us with the work of equipping and refurbishing this space, starting with the new floor and wood burning stove; a kitchenette, disabled toilet and shower unit ..... through to setting up a hanging system, workshop tables and a lot else besides! Grateful thanks, this is an amazing assistance in turning this into a useable space!